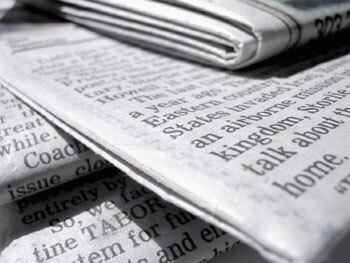 Able Estates - News- Call For Government To Introduce Lending Targets As Euro Crisis Worsens. Call For Government To Introduce Lending Targets As Euro Crisis Worsens. Countrywide, the UK’s largest estate agent and mortgage broker, has called for the Government to introduce mortgage lending targets. The call, by financial services director Nigel Stockton, follows warnings from the Bank of England that mortgage rates are set to rise. The Eurozone crisis is one factor, helping to drive up costs of borrowing for high street lenders. Some of the biggest mortgage lenders, including Halifax, the Co-op and Yorkshire Bank, have already raised their SVRs. Last Friday, Yorkshire Building Society raised its two-year fixed rate loan from 3.24% to 3.54% and today Ing Direct is raising its two-year fix from 3.29% to 3.49%. Stockton said that worse is to come. He said: `Since November last year, lenders have been closely monitoring their sales volumes by imposing stricter lending criteria and new restrictions, making it harder for new borrowers and homeowners looking to move off un-capped SRs to access funds with competitive rates. `It has been reported that over a million borrowers have already been affected by the recent hikes in mortgage costs and we have seen rates for an average 75% LTV mortgage steadily rise up by the best part of 1%, increasing average monthly repayments by up to £73. `We would speculate that the continued issues within the eurozone leading to increased wholesale funding and other liquidity issues are all playing a role in preventing the banks from lending. `With the two largest lenders already declaring their intentions to reduce their market share, it is clear that there is little appetite to increase mortgage lending at a time when millions are looking to fix their rate. `Without any downward price pressure from central Government and the newly formed Financial Policy Committee, mortgage rates will not come down from the 0.75%-1% increases we have seen over the last six months or so. `In our opinion, this reinforces the need for the introduction of lender targets from the Government which could be of great benefit to the housing market. Simon Embley, chief executive of LSL, also expressed concerns about the mortgage market. He said the current caution among lenders is likely to intensify.